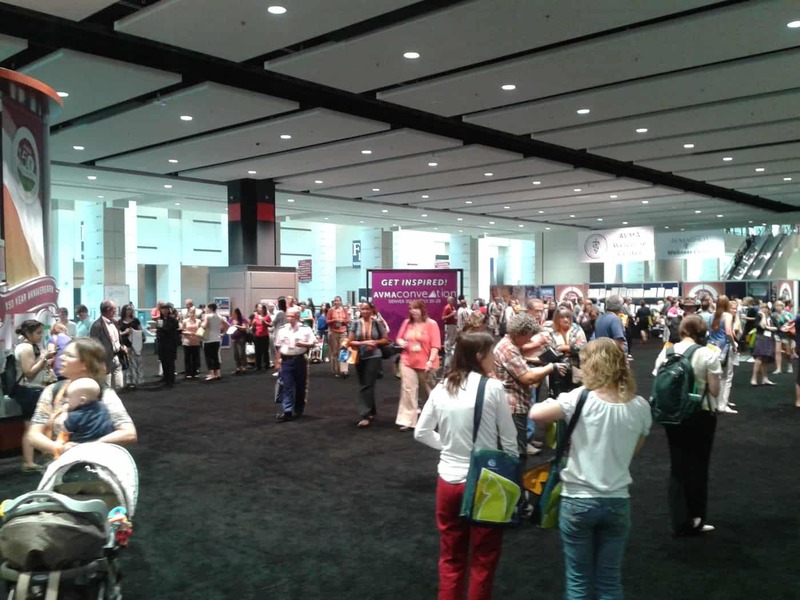 Veterinary Medical Association Convention in Chicago, IL. Had a great time visiting the local zoo and aquarium, not to mention all the fish talks and finally meeting some of the head fish veterinarians in the country. 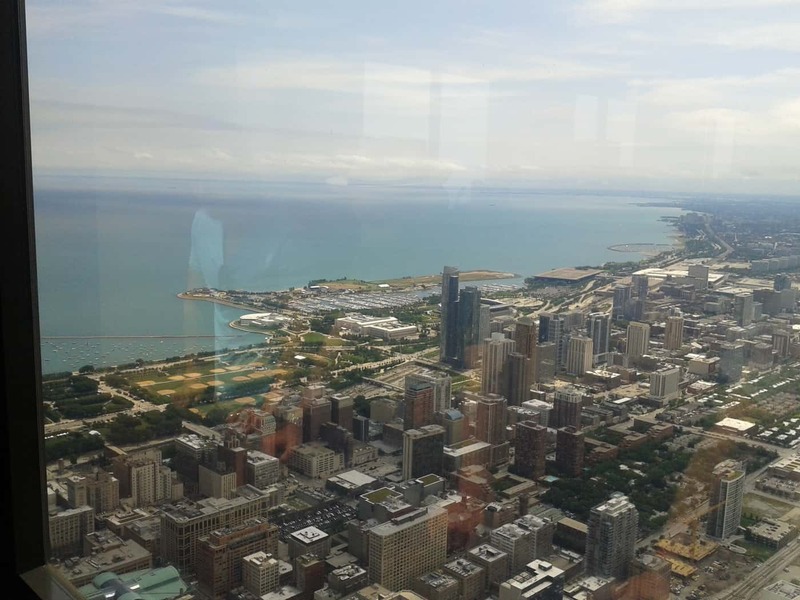 Dr. Jessie has joined the Communications committee for the World Aquarium Veterinary Medical Association, in order to promote aquatic medicine all over the world. She would like to focus on bringing more veterinary students into the aquatics field, and even undergraduate students into the veterinary field. the Field Museum’s bioluminescence gallery. What is “bioluminescence?” Similar to the flash of a firefly, bioluminescence is actually caused by light-producing bacteria, located under the eyes in flashlight fish. Now, these bacteria don’t hurt the fish. They use the fish as a home while the fish uses them for light production. This is an example of a symbiotic relationship for those of you who have taken biology classes. 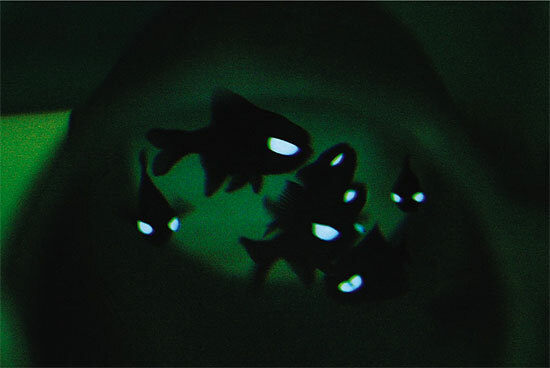 Flashlight fish are able to rotate their light organ, containing these bacteria, in order to turn the light on and off. It is thought that the fish use the light to communicate to other fish and as a means of distracting predators in order to escape. They can also use the light to lure in an unsuspecting snack! If you are thinking about setting up a tank to highlight flashlight fish, it needs to be a nocturnal tank. 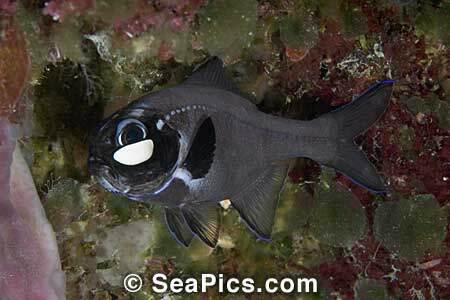 Low lighting and lots of hiding places are essential to keeping your flashlight fish happy. Make sure to get a couple of them together; they like having friends of their own kind nearby. Other good additions to a nocturnal tank include pinecone fish, squirrelfish, big eyes and cardinalfish. The best part of these fish is that you can watch them blink in the dark!